Customizing Basic Picture Frames & Mat Board – Uniquely Yours… or Mine! 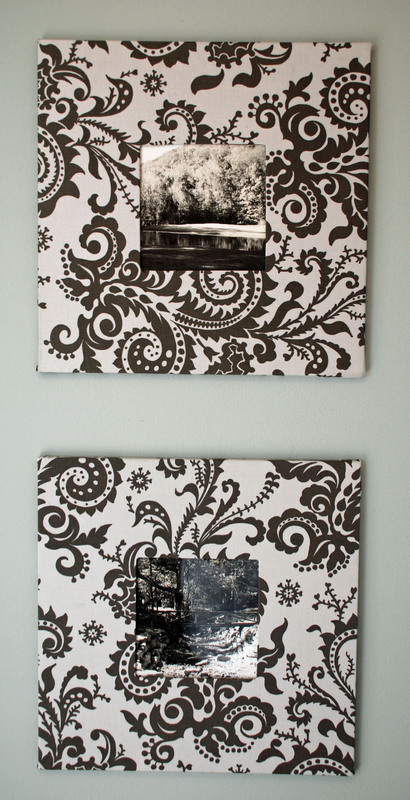 I just love the look of fabric used to cover a mat in a picture frame or to cover a frame. I have a few that I have done that I want to share with you… It is such an easy and fast project, the hardest part is picking out the fabric you want to use… seriously! 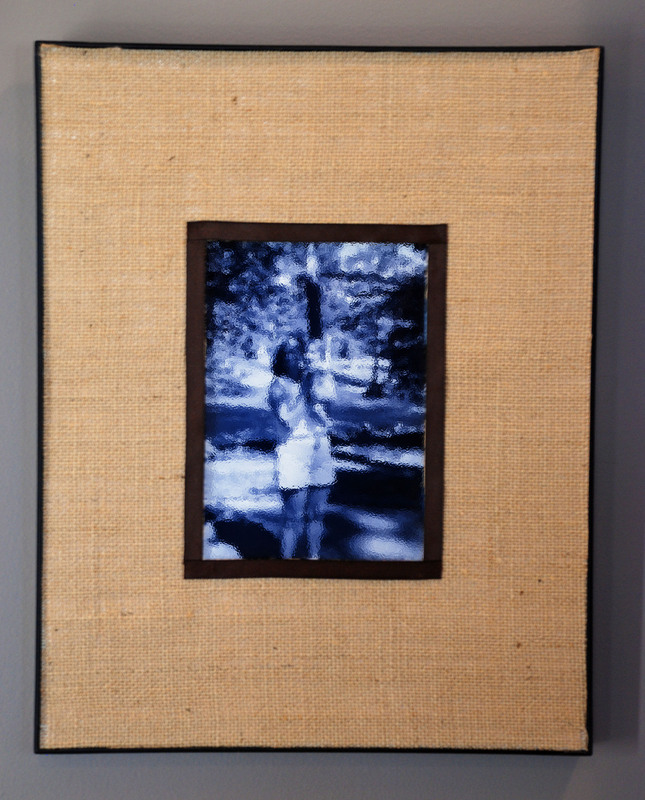 I have two separate sets of these aluminum frames that I wrapped in fabric. They used to work with our decor in our last home, but you know how it is when you move… some things just don’t seem to work anymore! Rather than donate them I gave them a make over! I just used scrap fabric I had on hand, but if you don’t have any fabric a great option is buying quilting bundles called fat quarters… it’s fabric that has already been cut into squares and the fabric in the bundle coordinates with one another. They sell stacks at most fabric stores and I have seen them at Hobby Lobby too! Your pictures will now have a custom look for a fraction of what it would cost at a store! 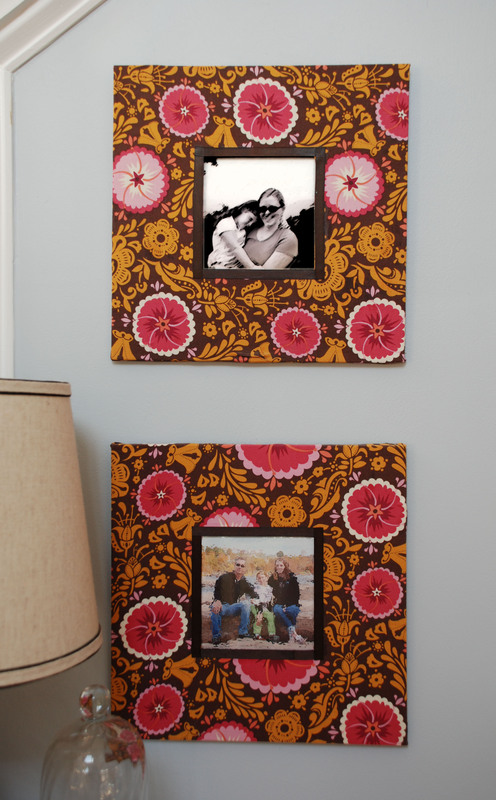 Use what you have around the house… upcycle a frame…. Do you have frames put away in storage because they no longer go with your decor? You can make custom frames as gifts for all kinds of occasions! 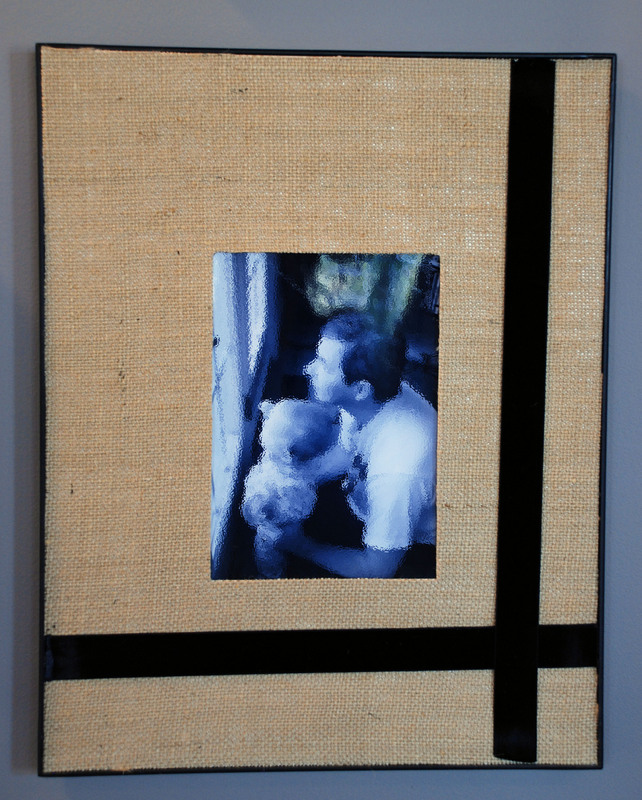 Have fun with this project with your kids… let them embellish a frame for their room or make one for one of their friends! Previous Post: A Tale of the Pretty Red Buffet… a Love Story. Such great upgrades! I love the burlap!! ohhh, I don’t think your rss feed working..